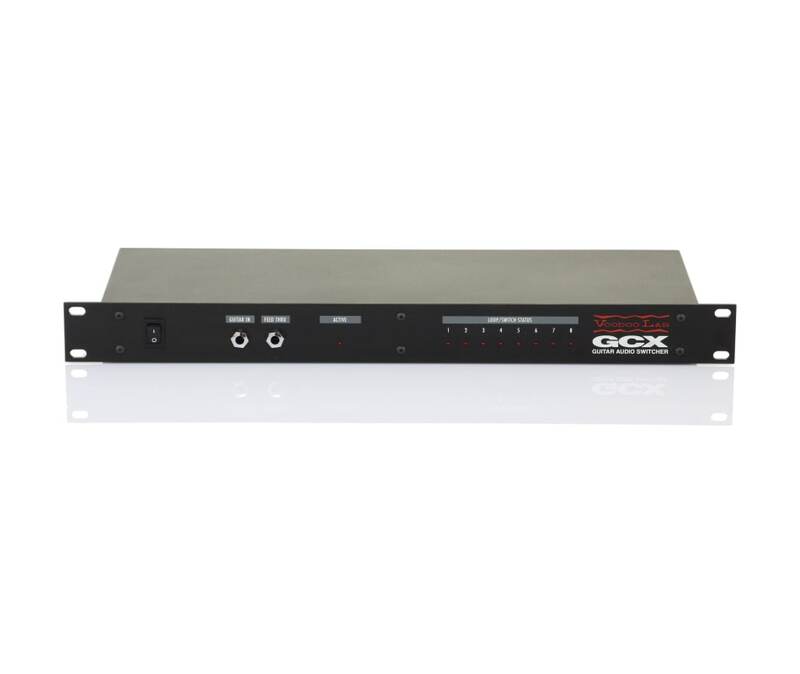 Get total control over your pedals, rack effects, amp &amp; channel switching and more with the GCX Guitar Audio Switcher. You can use each of the eight loops for true bypass effect switching, A/B switching to select amps and preamps, or to control any type of footswitch function such as amp channel switching. GCX loops have no active circuitry, and use the finest gold relays sealed in nitrogen, so your tone will stay pure and dynamic no matter what kind or how many effects you use.